Now taking discounted (just $50/year) sign-ups for a September launch, CB's...exactly what it sounds like: a city-run, city-wide ZipCar for two-wheelers, entry into which'll give you access to "1,100 bikes at your fingertips 24 hours a day, 365 days a year", meaning you're absolutely walking to work on February 29, 2012. 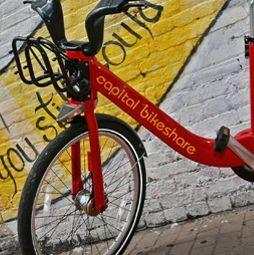 Didn't think of that, did you Capital Bikeshare? ?